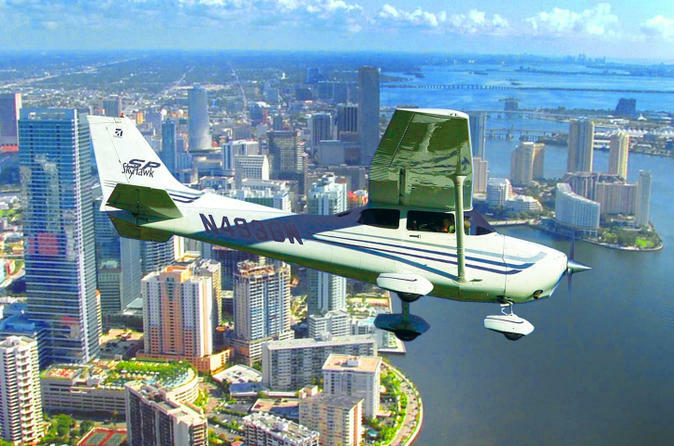 See all the 'must-see' sights in Miami on this 60-minute fully guided Grand Air Tour. If you're amazed by the spectacular aerial views of Miami and her beaches as seen on the popular television show "CSI Miami", then come along and see them all - for real! The Grand Miami Air Tour has all the famous sights covered, from Art Deco South Beach to Biscayne Bay, Downtown Miami and the celebrity island mansions. The saltwater homes in the middle of Biscayne bay known as "Stiltsville"